Horne Technologies cc. provides a range of optical components, optomechanics, custom optics, coating, assembly services, to researchers, engineers, and scientists. While our products are primarily high quality, we can, when required obtain lower grade lower cost optics as well. We have a wide-ranging list of suppliers, contacts and experts that we work with. (click on logos below to jump to relevant section). WZWOpticAG thrives upon mutual cooperation between our customers, partners, suppliers and employees. Our culture of cooperation and open communication equates to quicker success. Our philosophy of living the WZW Spirit allows us to deliver quality at the highest level, make continuous improvements in all company areas, and maintain a sophisticated process control. We inspire customers worldwide with our unwavering dedication to quality. It's no surprise then that WZWOPTICAG is a globally-recognized leader in the optics industry. Let us know how we can help you. Tap into our expertise today! WZWOpticAG is Europe and Asia's only commercial manufacturer of super-polished surfaces. A roughness of less than 1 Angström on plano and radii surfaces is necessary in order to produce laser mirrors with minimal scattered light. Achieving such precision requires vast experience - and WZWOpticAG has it. We specialise in high quality Custom Optics which are rigorously tested in our state of the art QA department. 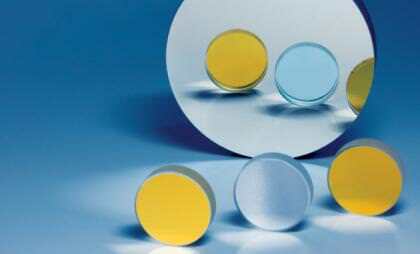 To be the global number one choice for quality precision optical components. To provide high quality optical solutions to customer requirements on time and at competitive prices. To provide outstanding customer service through our professional, knowledgeable, and committed technical team. Starting its first activities in the world of lasers in 1983 The Company has been built on long term of expertise in the laser and optics fields.Telops Inc., located in Quebec City operates in the optical sector. More precisely, Telops is a leading supplier of hyperspectral imaging systems and high performance infrared cameras for the defence, industrial, environmental and research industries. Telops also offers R&D services for optical systems technology development in order to respond to the specific needs of its customers. Our laser components are used across different laser and photonics applications in scientific, industry, medical and aesthetic, military and aerospace markets. The applications of the laser components offered by our company cover a wavelength spectrum from the UV (193 nm) through VIS to IR (20 µm) and at Terahertz (1-20 THz) ranges. EKSMA Optics polishing facility specializes in the processing and final polishing of flat optics made of BK7, UVFS, Infrasil, CaF2 and also DKDP, LBO, ZnGeP2 crystals whereas high quality precision polished faces are required for high power laser applications. All components provided by the Company are subject to high quality testing and certifications in Quality Control Laboratory. EKSMA OPTICS serves to provide flexible and technical solutions to varied laser components customers requirements, which can often be quite challenging and is most receptive to providing new products where necessary, meeting customer specific applications. The Company also actively participates in national and international Joint Research Projects.